All foods, grains flours and feeds are GMO free, 100% USDA CERTIFIED ORGANIC. We specialize in USDA certified organic feeds, so you can know anything you buy from us is GMO free and organic. Shipping and sales tax are included in the prices below. 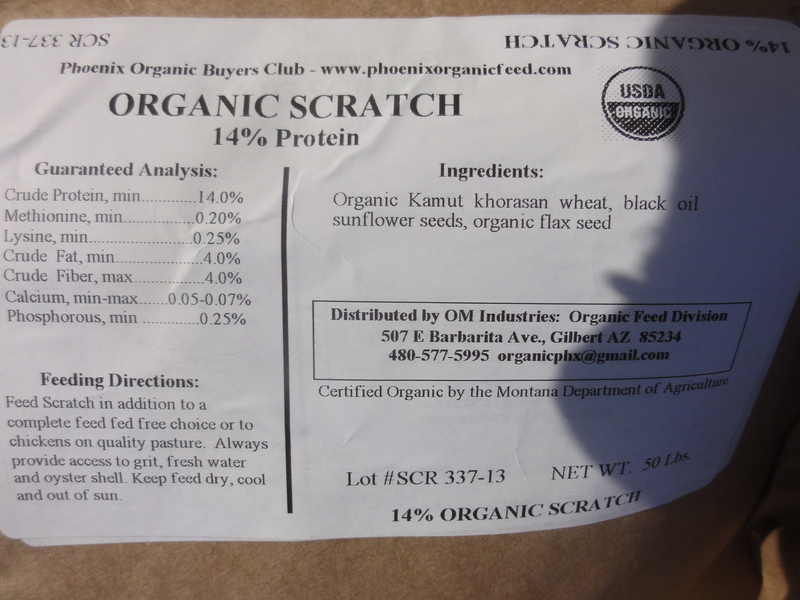 As a participant you will need to pick up your feed order at the Tucson area drop point. All foods grains flours and feeds are 100% USDA certified Organic/GMO free. If you've signed up on our website, you should receive our next order form via email. Check the calendar link below to learn when our next order form will go out. We tend to have a few extra bags of the layer mash in stock. If you'd like to try one or two before the next order contact us.